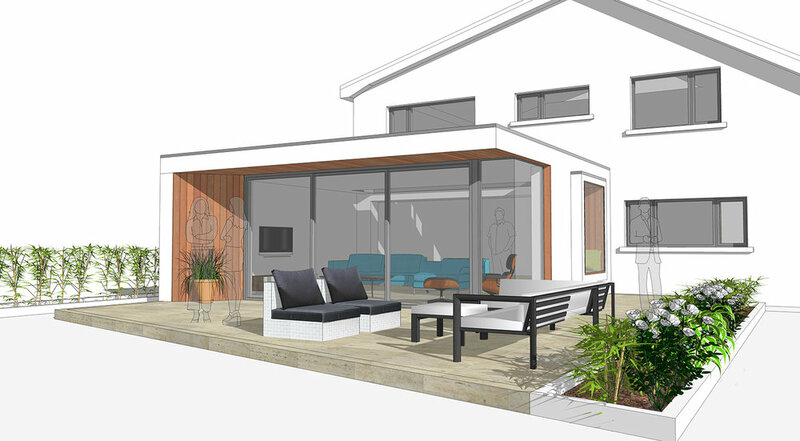 Wilson McMullen Architects have a wide ranging portfolio of house extensions & renovations ranging from simple modifications of existing floor space and one room extensions to two and three storey extensions and full house renovations. We work with all types of property from standard homes, cottages & barns to historic or listed buildings. We work closely with the client to develop a detailed brief and design concept following the project through to completion. We illustrate each stage of design through drawings, statements and 3d illustrations to ensure the client is fully informed about the design intent and programme. We pride ourselves in ensuring that all projects exceed the client's expectations for service and design. If you have a house extension / renovation project, large or small, please give us a call or email to discuss. We offer a free no obligation initial consultation.